The ABC Commercial feature documentary, STOP AT NOTHING: THE LANCE ARMSTRONG STORY, has been chosen to screen in the official selection of the 2014 Sheffield Doc/Fest, in June. The program will screen on Sunday 8 June at 18.00 in Showroom 4 and Monday 9 June at 17:30 in Showroom 2. The film has also been selected to screen at London’s East End Film Festival on 15 June at 18.00. Co-produced with Passion Pictures, the producers of Academy Award winning films, One Day in September and Searching for Sugar Man, this new feature documentary is an intimate but explosive portrait of Lance Armstrong, a man who enriched himself by cheating his fans, his sport and the truth. The film reveals new details about the scandal – with insights from the former friends whose lives and careers he destroyed. Audiences will hear for the first time the inside story of how Armstrong cheated a sports promoter who suspected him of taking drugs, out of millions of dollars in bonuses for winning the Tour de France. 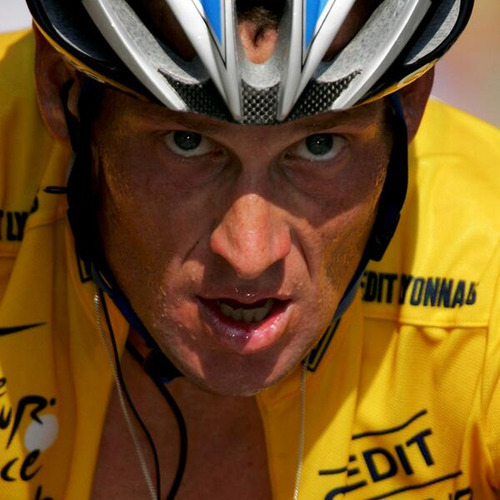 The story, told by those who were there, recounts how Armstrong perjured himself repeatedly, and how he bullied and intimidated witnesses in an arbitration hearing called to settle the dispute. The film also tells the story of how Lance Armstrong - as a young up and coming cyclist - cheated US promoters out of a million dollar bonus, as well as the explosive revelation that the head of one of Armstrong’s major US sponsors knew all about his doping - but continued to sponsor him, despite this knowledge. Contributors who appear in the film include: Betsy Andreu [Former friend of Lance Armstrong, married to Frankie Andreu]; Frankie Andreu [Former friend and US Postal Service Cycling Team team-mate of Lance Armstrong 1998-2000, married to Betsy Andreu]; Roberto Gaggioli [Italian cyclist]; David Walsh [The Sunday Times journalist]; Greg LeMond [Three-time winner of the Tour de France]; Kathy LeMond [Married to Greg LeMond]; Emma O’Reilly [Former soigneur, US Postal Service Cycling Team]; Bob Roll [Friend of Lance Armstrong and former cyclist]; Stephen Whisnant [Executive Director, Lance Armstrong Foundation 2001]; Dr Craig Nichols [Lance Armstrong’s cancer-treating doctor]; Bob Hamman [President, SCA Promotions]; Jeff Tillotson [Dallas, Texas attorney for SCA ]; Paul Kimmage [Author and journalist]; Reed Albergotti [Author and journalist, The Wall Street Journal]; Travis Tygart [CEO, US Anti-Doping Agency]; and Tyler Hamilton [Former friend and team-mate of Lance Armstrong]. STOP AT NOTHING: THE LANCE ARMSTRONG STORY is an ABC Commercial/Passion Pictures production from BAFTA Award winning director Alex Holmes (Dunkirk, House of Saddam); Producers are Quentin McDermott (The World According to Lance) and Jessica Ludgrove (Fire in Babylon); Executive Producers include John Battsek (One Day in September, Searching for Sugar Man) and Phil Craig (The Flight that Fought Back, Targeting Bin Laden). ABC Commercial holds worldwide distribution rights to the program.